A friend sent me the link for this documentary made in 1989. It re-surfaced in 2014 at the 75th anniversary of the film. It has been re-published on YouTube into four segments, each between 8-13 minutes, which I am going to post over the next few weeks. 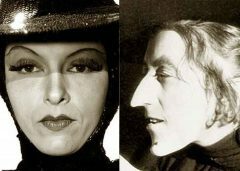 Each segment is quite entertaining and includes interviews with various actors and film makers still alive at the time. Angela Lansbury is the narrator. This first one, for instance, explains the enchantment of the film, since the books had been children favorites for many years by then. Also, there are musical numbers shown which explained why they didn’t make the final cut. 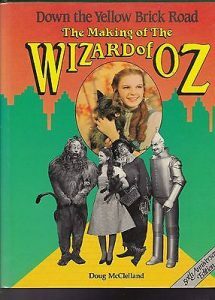 This dance number, starring Ray Bolger, was cut from The Wizard of Oz prior to release in 1939. Wonderful choreography with interesting special effects for its time. I especially enjoy the Scarecrow flying into the cornfield! 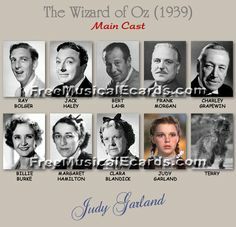 Gale Sondergaard was an Academy Award winning actress who tested for the part of wicked witch. But once stripped of the “glam” she declined the roll with “no regrets.” Only good witches are pretty, after all. 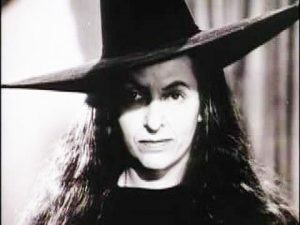 Margaret Hamilton explains the testing for the witches. Disney’s Sleeping Beauty success propelled MGM to look for projects that could compete with the new genre of full length animation. Although a very expensive film to make, the impact on every generation and movie making since then is unmatched. Even now, with the use of technology, film students have learned much through the trial and errors that came before them. I simply want to tell you that I am new to blogs and seriously enjoyed your web blog. Likely I’m going to bookmark your site . You amazingly come with excellent stories. Kudos for sharing with us your web-site. I just want to say I am new to blogging and site-building and actually enjoyed you’re web-site. Almost certainly I’m going to bookmark your blog . You absolutely have really good posts. Many thanks for sharing your web site. I simply want to mention I’m new to weblog and certainly savored this blog site. Most likely I’m planning to bookmark your blog . You amazingly have excellent posts. Kudos for sharing with us your web-site. Can I just say what a comfort to uncover somebody who genuinely knows what they’re discussing on the internet. You definitely realize how to bring a problem to light and make it important. More and more people must look at this and understand this side of your story. It’s surprising you aren’t more popular because you surely possess the gift. Very good written post. It will be useful to anyone who utilizes it, including yours truly :). Keep doing what you are doing – for sure i will check out more posts. First, I researched blog101 for my initial information; my subject, my mission and so on. Really do your homework! Research. Lastly, my nephew, a web designer, helped me launch it with a logo, onto Facebook, and administrative specifics per his advise. Good luck. One thing blog101 said was to go with the flow. My theme morphed from my initial ideas, because the timing was spot on. Hi here, just became aware of your article through Search engines like google, and realized that it’s really helpful. I’ll take pleasure in should you decide retain this post. naturally like your web-site but you need to test the spelling on quite a few of your posts. Several of them are rife with spelling issues and I to find it very bothersome to tell the truth nevertheless I will definitely come back again. Hi folks here, just turned familiar with your weblog through The Big G, and discovered that it is very informative. I will appreciate should you decide continue on such. Hi folks there, just became receptive to your blog site through The Big G, and discovered that it’s truly helpful. I will value in the event you continue on such. excellent issues altogether, you simply gained a new reader. What might you recommend about your post that you simply made a few days in the past? Any sure? Excellent website. Plenty of useful information here. I am sending it to a few pals ans additionally sharing in delicious. And obviously, thank you for your effort! Generally I don’t learn article on blogs, but I wish to say that this write-up very pressured me to check out and do it! Your writing style has been amazed me. Thank you, very nice article. I just want to say I am very new to blogging and site-building and seriously savored your web blog. Probably I’m going to bookmark your site . You really come with remarkable posts. Regards for revealing your blog site. I just want to say I am new to blogging and site-building and certainly savored this web site. More than likely I’m likely to bookmark your site . You certainly have fabulous article content. Thanks for sharing your web-site. It¡¦s actually a nice and helpful piece of info. I¡¦m satisfied that you simply shared this useful info with us. Please stay us informed like this. Thanks for sharing. I¡¦ll right away clutch your rss as I can’t find your email subscription hyperlink or e-newsletter service. Do you’ve any? Kindly permit me recognise in order that I could subscribe. Thanks. I am not sure where you are getting your information, but great topic. I needs to spend a while finding out much more or understanding more. Thank you for excellent information I used to be searching for this info for my mission. Hello there, I discovered your blog by the use of Google at the same time as searching for a related subject, your site got here up, it appears great. I’ve bookmarked it in my google bookmarks. You can definitely see your enthusiasm in the paintings you write. The world hopes for more passionate writers like you who aren’t afraid to mention how they believe. All the time go after your heart. Thank you a bunch for sharing this with all people you actually recognise what you’re talking about! Bookmarked. Kindly additionally discuss with my site =). We could have a link trade contract between us! Whats Going down i’m new to this, I stumbled upon this I have discovered It absolutely helpful and it has helped me out loads. I am hoping to contribute & help different users like its helped me. Great job. What i don’t realize is in fact how you’re now not really much more smartly-appreciated than you may be now. You’re very intelligent. You already know therefore significantly in terms of this topic, made me individually believe it from a lot of varied angles. Its like men and women don’t seem to be interested until it is one thing to accomplish with Woman gaga! Your individual stuffs nice. Always maintain it up! I have read some excellent stuff here. Definitely value bookmarking for revisiting. I surprise how much attempt you put to create such a fantastic informative web site. you’re actually a excellent webmaster. The website loading speed is amazing. It kind of feels that you are doing any unique trick. Also, The contents are masterpiece. you’ve done a fantastic process in this subject! I want to convey my passion for your kind-heartedness giving support to persons who absolutely need help with this particular idea. Your real dedication to getting the message around has been wonderfully invaluable and have usually permitted professionals like me to realize their dreams. Your new insightful suggestions entails this much a person like me and extremely more to my office colleagues. Regards; from each one of us. I’m writing to make you be aware of of the fine discovery our girl obtained visiting yuor web blog. She came to find lots of pieces, not to mention what it is like to possess an excellent helping heart to have folks completely know precisely specific grueling subject areas. You truly surpassed visitors’ expectations. Many thanks for imparting those productive, dependable, revealing and fun tips about the topic to Sandra. I intended to send you this very little word to finally say thanks a lot the moment again for the extraordinary methods you’ve contributed on this site. It is quite pretty generous with people like you to present without restraint just what many of us would have made available for an electronic book to earn some bucks for themselves, primarily given that you might well have done it if you desired. The ideas likewise worked like a fantastic way to fully grasp some people have the same keenness much like my personal own to find out way more concerning this matter. I think there are several more fun times ahead for individuals who discover your blog. You can certainly see your expertise in the work you write. The arena hopes for even more passionate writers such as you who are not afraid to say how they believe. At all times follow your heart.